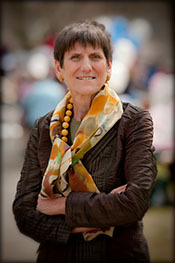 DeLAURO, Rosa L., a Representative from Connecticut; born in New Haven, New Haven County, Conn., March 2, 1943; graduated from Lauralton Hall High School, Milford, Conn.; B.A., Marymount College, Tarrytown, N.Y., 1964; attended the London School of Economics, London, England, 1962-1963; M.A., Columbia University, New York, N.Y., 1966; staff, Mayor Frank Logue of New Haven, Conn., 1976-1977; campaign manager, Mayor Frank Logue, 1978; staff, New Haven, Conn., development administrator, 1977-1979; campaign manager for United States Senator Christopher J. Dodd of Connecticut, 1979-1980; staff, United States Senator Christopher J. Dodd of Connecticut, 1981-1987; executive director, Countdown ‘87, 1987-1988; executive director, EMILY’S List, 1989-1990; elected as a Democrat to the One Hundred Second and to the fourteen succeeding Congresses (January 3, 1991-present). Videoreels and Videocassettes: 1990-1994, 8 commercials on 8 videoreels and 3 commericals on 3 videocassettes. The commercials were used during Rosa DeLauro's campaigns for the 1990 and 1994 U.S. congressional elections in District 3 of Connecticut, Democratic Party. "Rosa DeLauro" in Women in Congress, 1917-2006. Prepared under the direction of the Committee on House Administration by the Office of History & Preservation, U. S. House of Representatives. Washington: Government Printing Office, 2006.